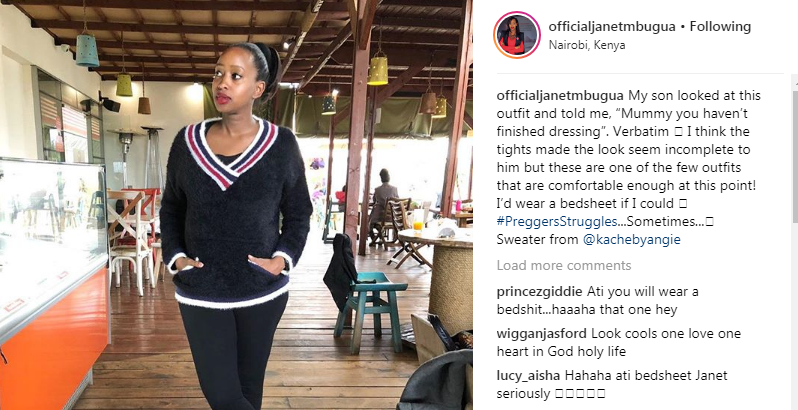 Janet Mbugua is heavily pregnant and is finding it a little bit hard to find cloths that are comfortable and still fashionable. 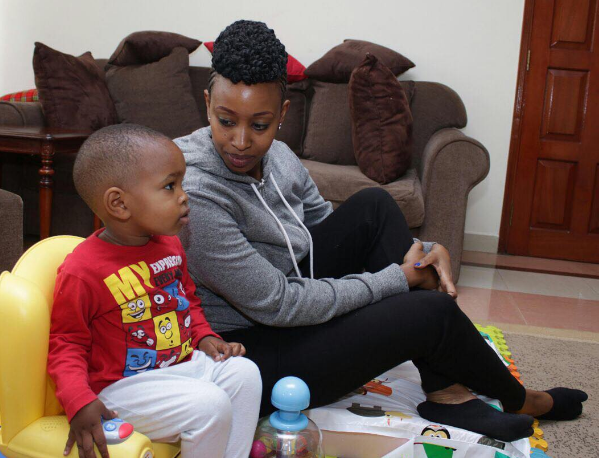 Mbugua, who is married to Edward Ndichu, is pregnant with her second child and has been informing her son Huru that he’ll soon have a brother/sister. “We speak to him like an adult and he has really become independent, which is helping him a lot. We have also made sure that when he asks a question, we try as much as possible to explain to him about that,” Janet revealed awhile ago. It seems Huru has grown up and even now can suggest how his mum should dress. Mbugua shared that Huru commented on a pair of tights she wore which, he wanted his mum to add something else to go with them. He felt his mum wasn’t fully dressed.